We are successfully meeting the requirements of our clients by manufacturing the best quality range of Steel Mortise Handle. There's a lot to be said for simple, timeless, elegance. Never out-shone, never out-moded and never out-of-place.These mortise handles - with their gentle curves and enticing, tactile design - will confidently turn heads in any interior. 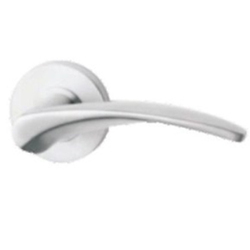 Stainless Steel Mortise Handle SS 304, 316, 202. We take pleasure to introduce ourselves as one of the renowned firms for providing the best-in-class range of Mortise Door Handle. We are leading manufacturer and supplier of Mortise Handle, Mortise Lock and Mortise Cylinder.